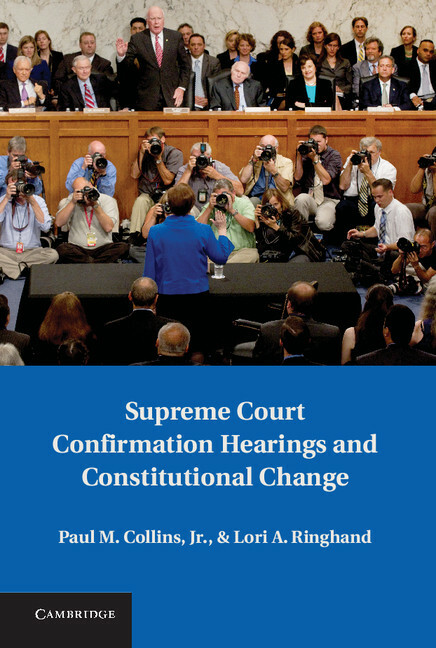 Supreme Court Confirmation Hearings and Constitutional Change (Cambridge University Press) | Paul M. Collins, Jr.
Supreme Court Confirmation Hearings and Constitutional Change was recognized by Choice as a 2014 Outstanding Academic Title. This file contains The U.S. Supreme Court Confirmation Hearings Database. The data are in Excel, R, SPSS, and Stata formats, compressed in a ZIP file. To download the database, click here: Download Data. This file contains the data and do files to replicate the empirical analyses in the book. The data are in Stata format, compressed in a ZIP file. The Stata code to replicate the models appears in the accompanying do files. To download the data and replication materials, click here: Download Data and Do Files.